Any reason why my post was removed.... It was teh second post posted ! Hi @shawny Sorry if you feel your post was moved. I've had a look at our archives and can't see it in there and that's the only place where we would move any posts too. I can't see that post in your post activity within your profile either. I do apologise for not getting back to you sooner on this. The new update for LG TV is terrible. It takes an age to load, there is no quick way to acces live TV. When I do find live TV it only displays sports channel list whether its on any of the four catagories. I have to now turn on the TV 10 minutes before the programe starts and mess about trying to find a way to access it. Sorry but the new design is absolutely terrible. I'm using the Now TV Movies Pass on a TalkTalk/Youview box. Before it had a good layout and a responsive design. Now it looks flat, it's much slower and out of the hundreds of available films to choose from the menu only shows six movies at a time. 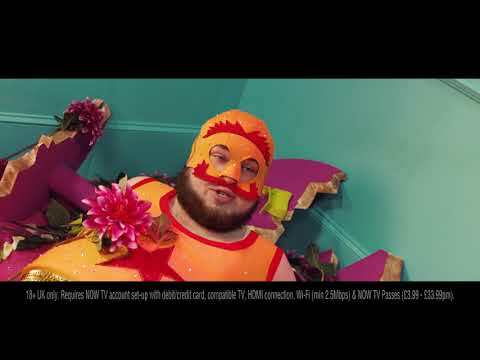 watch your own nowtv 2018 advert!! I to find the fact the magic remote was supported and now is no longer supported infuriating.